"At the Ritz, nobody pushes you," Marcel Proust once said. It's an observation that earned the author of "In Search of Lost Time" a salon named in his honor, a place where, comfortably settled into a plush armchair, in the company of rare books and warm woodwork, one can simply take the time to daydream. And to indulge in the memorable delights of madeleines and exceptional teas. An ideal spot for savoring favorite childhood cakes by the fireplace. Tastes and colors are his playthings. While he never uses sugar to excess, when it comes to flavor, he doesn't believe in moderation. 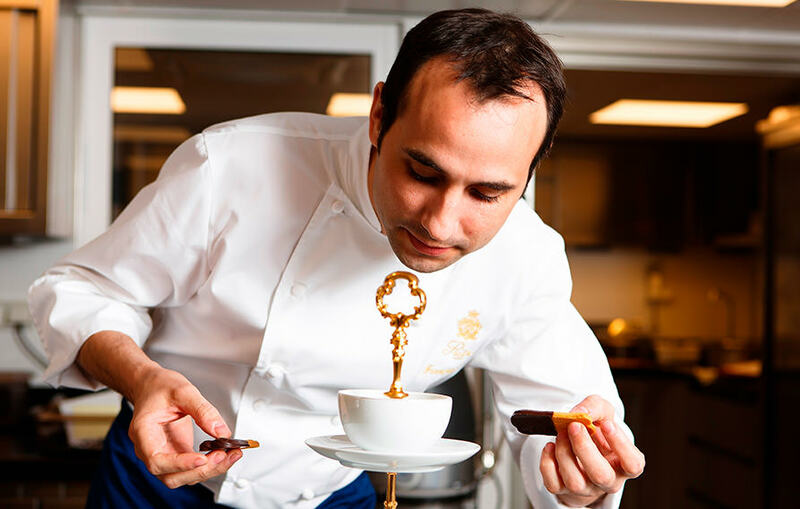 A master in the art of creating contemporary classics, he has transformed the Salon Proust into a place for a time, a time for a place: a distinctly French afternoon tea that raises biscuits to rare heights of refinement. 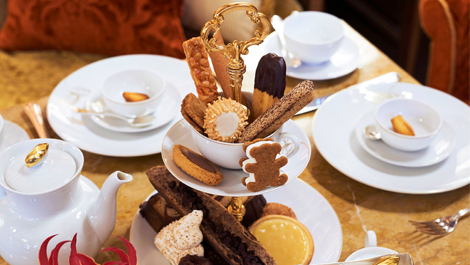 Sponge fingers, tuile cigarettes, florentines, sugar tarts and buns with cocoa nibs and chocolate chips are just some of the delights accompanying a treasure trove of exceptional teas, "so that everyone finds their madeleine", says this extraordinarily talented chocolatier and Pastry Chef with a smile. In white Limoges porcelain, the tea service chosen for the Salon Proust was made bespoke by Haviland for a French tea that promises a sweet stroll down memory lane. Its emblem is the madeleine. A stylised, visual motif, this golden thread of time regained is unfurled in curlicues on cups and plates. Try to grasp it, from the lid of a sugar bowl or a teapot, and this little golden nugget floats away. 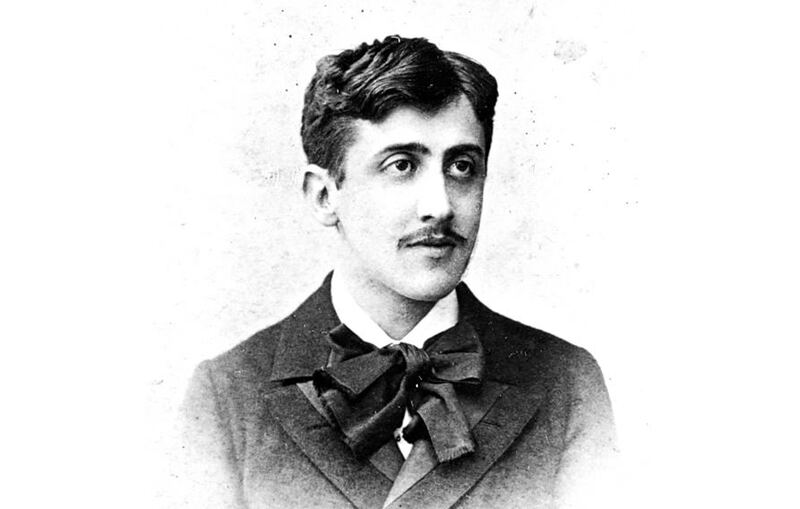 Present at its inauguration, Proust immediately made the Ritz Paris his second home and found in it an unrivaled source of inspiration. As the host of intimate salons, he gleaned secrets from the literary and aristocratic elite and delighted in using them in his writing.